The Fula Jalon are a large people group located in the western African nations of Guinea, Sierra Leone, and Senegal. A small population resides in Guinea Bissau. The majority live in Middle Guinea, or the Fouta Djallon, an area of mountains and plateaus. Fulani herdsmen settled this region over two hundred years ago and have since spread throughout western Africa. The Fula Jalon are a sub-group of this vast Fulani people group. Whether in Guinea, Sierra Leone, or Senegal, the culture of the Fula Jalon is virtually identical. The Fula Jalon of Sierra Leone occupy a tropical region that has heavy rainfall and high humidity. There are many mountains and plateaus stretching into northern Sierra Leone from the Fouta Djallon of Guinea. 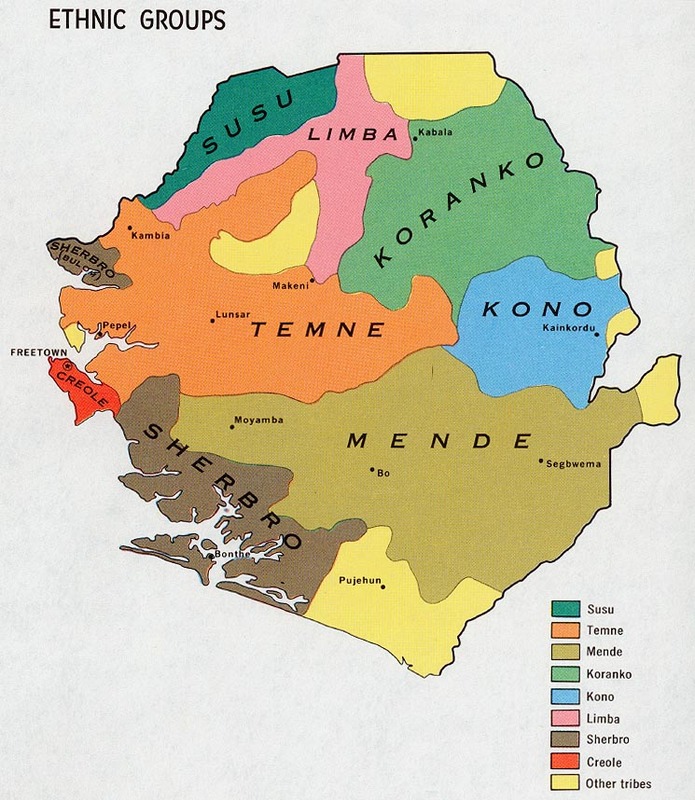 The people there have lighter skin and are taller than other groups in Sierra Leone. They speak a Niger-Congo language called Fuuta Jalon (or Pular) and are skilled in raising cattle. The Fula Jalon livelihood is based primarily on farming and raising livestock. Gathering forest produce, hunting, fishing, and trading are also part of their daily lives. Staple crops include millet, rice, and peanuts. Cattle, along with sheep and goats, are the primary livestock. The cattle are not the usual Fulani humped breed, but a native Fouta Djallon breed called Ndama, which is resistant to the disease-carrying tsetse fly. Herding cattle is usually a male activity; however, the women milk and take care of the cattle. Women also tend to the small livestock and poultry, cultivate gardens, and carry containers of milk and cheese to the local markets for sell or trade. Daughters remain with their mothers until they marry. However, as soon as a son reaches puberty, he leaves the family compound and lives alone in a nearby compound, usually with some cattle. This new compound will become the home of the son and his future wife. The first marriage of a man is usually arranged by the man's father. A bride-service of helping the girl's father with his livestock is performed by the man, who usually marries in his early twenties. Polygyny (the practice of having more than one wife) is practiced, up to the Muslim limit of four wives. There is one chief wife, however, who has authority over the other wives. Children belong to "age-sets" until they marry. An age-set occurs at three or four year intervals, with every child born in those years belonging to that set. The children in an age-set go to school together and often work together. When the time for marriage arrives, they may even help one another with the bride-service. Within each age-set, there is a leader, a deputy, and a judge. Although Fula Jalon villages are scattered, each village has a central court and a mosque. Houses belonging to the settled Fula Jalon are typically round with mud walls and thatched roofs. Each hut has an encircling veranda. The nomadic Fula Jalon live in open, beehive-shaped huts without walls or verandas. Each hut is surrounded by a cattle corral. In each village, a headman handles village affairs and answers to a chief. The Fula Jalon of Sierra Leone are overwhelmingly Muslim; a small percentage of the population does not follow any religion. The Muslims faithfully follow the teachings of the Koran, Islam's holy book. They believe that Allah is the only God and that Mohammed is his prophet. Efforts to evangelize these people have resulted in only a very small number of Fula Jalon believers. They are very devoted to their Islamic religion and see it as a fulfillment of their needs. To win these people to Christ, further prayer is needed for God to open their hearts and eyes to the Truth. * Scripture Prayers for the Fula Jalon in Sierra Leone. * Ask the Lord of the harvest to send full-time missionaries to share the Gospel with the Fula Jalon of Sierra Leone. * Pray for God to soften the hearts of the Fula Jalon so that they will be receptive to the Gospel. * Ask the Lord to bring forth a strong Fula Jalon church for the glory of His name!